A Nigerian man who was involved in a violent argument in Birzebbuġa yesterday morning where a co-national was stabbed with a pair of scissors, was released from arrest following his arraignment this morning. John Chibuzor Bolenus, a 28-year old labourer who has been living in Malta for 12 years, pleaded not guilty of having assaulted the victim without intending to kill, but causing him grievous injuries. He also denied having threatened the other man, attacked him with a pair of scissors and breaching the public peace during the violent incident which allegedly broke out at around 7am. Magistrate Audrey Demicoli heard how the row had erupted when the 33-year old victim allegedly turned up at the accused’s home in Triq il-Folklor. 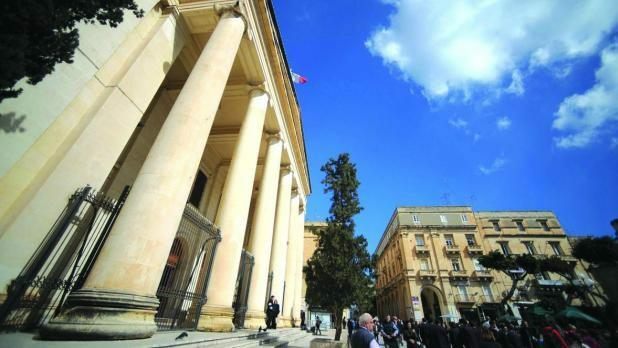 Defence counsel lawyer Helga Buttigieg Debono informed the court that her client had also suffered slight injuries when the victim had attacked him in his own residence. He had also required medical attention. After hearing prosecuting inspector Charlotte Curmi explain that the arrested man had a fixed address and a stable employment, the court upheld the request for bail, ordering the accused to sign the bail book on a daily basis and to observe a curfew between 11.00pm and 6am. Bail was granted against a deposit of €500 and a personal guarantee of €3,000. The accused was banned from going to St Paul’s Bay, the victim’s place of residence. A Protection Order was also issued in respect of the victim and is to remain effective throughout the proceedings.